Cloud 9 Membership grants members a 10% savings on any day on all hardware in the store including mods, coils, wire, tanks, RDAs, etc. Additionally, membership gives you a 25% discount on all PG/VG base, flavors, and premium juice line flavors when purchased on Tuesdays or Wednesdays. The Cloud N9ne membership is The Vapor Lab’s paid savings club. Unlike the Free Savings Club that is available to everyone who signs-up, we elected to also have a paid savings club in order to help out those who go through a ton of juice and hardware. This is for the folks with the 300 Watts devices and huge tanks who go through a 120mL in a week. Cloud 9 Membership grants members a 10% savings on any day on all hardware in the store including mods, coils, wire, tanks, RDAs, etc. Additionally, membership gives you a 20% discount on all PG/VG base, flavors, and premium juice line flavors when purchased on Tuesdays or Wednesdays. Membership into the club will begin 7/15/17 and is valid for one year. 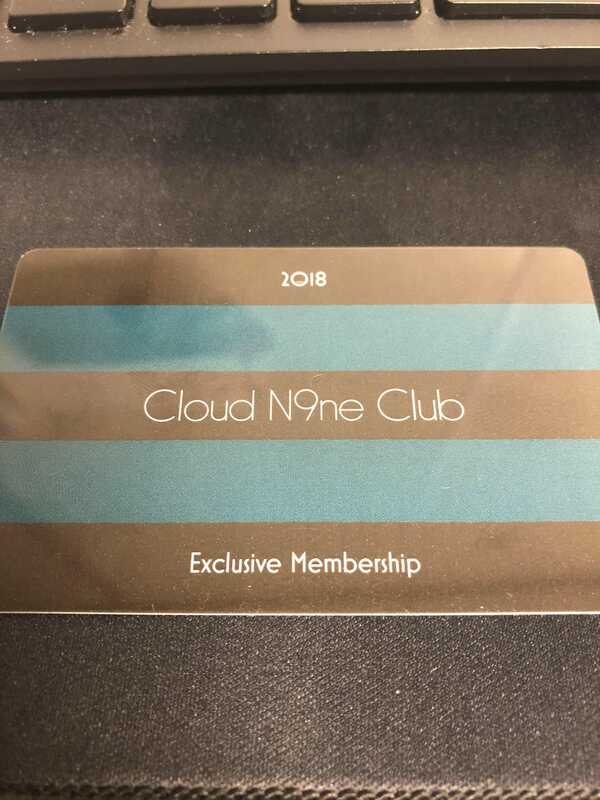 ID still required with each purchase, Cloud 9 Club membership card is not a substitute for a state issued ID Savings Example: Let’s look at Brian’s vape product consumption to get an idea on his amount of savings through his Cloud 9 Membership. Brian goes through a Mod every 9-10 months. He likes to grab new and exciting products the day they come out, and normally buys two new tanks per year. He goes through one TF-V8 coil every 10 days or so and will vape through at least a 120mL of juice every 10 days, sometimes he’ll also go through a 60 mL of a different flavor, depending on what’s happening in his world. Let’s look at his retail cost of each item, each year: 45 120mL’s of PG/VG base = $1,387 15 60mL’s of PG/VG base = $390 72 bottles of flavor concentrate = $360 45 TF-V8 replacement coils = $315 1 to of the line mod = $119 2 top of the line tanks = $100 Total Annual Expense = $2,671 Now, lets assume Brian elects to take advantage of the Cloud 9 Membership and all it’s savings opportunity. Let’s see how the $60 annual membership affects his net costs: 45 120mL’s of PG/VG base = $1,387 – 20% = $1.040 15 60mL’s of PG/VG base = $390 – 20% = $293 72 bottles of flavor concentrate = $360 – 20% = $270 45 TF-V8 replacement coils = $315 – 10% = $284 1 top of the line mod = $119 – 10% = $107 2 top of the line tanks = $100 – 10% = $90 Cost of Membership = $60 Total Expense w/ Cloud 9 Membership = $2,144 $2,671 – $2,144 = $527 Total Net Savings With Cloud 9 Membership is $527 annually Now again, someone who goes through only 12 60mLs of juice a year many not benefit greatly from this type of membership…that’s why we have the free Savings Club. But, as you can see, it made a huge difference for Brian.